Editorialmag Lite is a child theme of Editorialmag Magazine/News Portal WordPress theme. Editorialmag Lite specially designed for magazine, newspaper, news portal and editorial style websites. 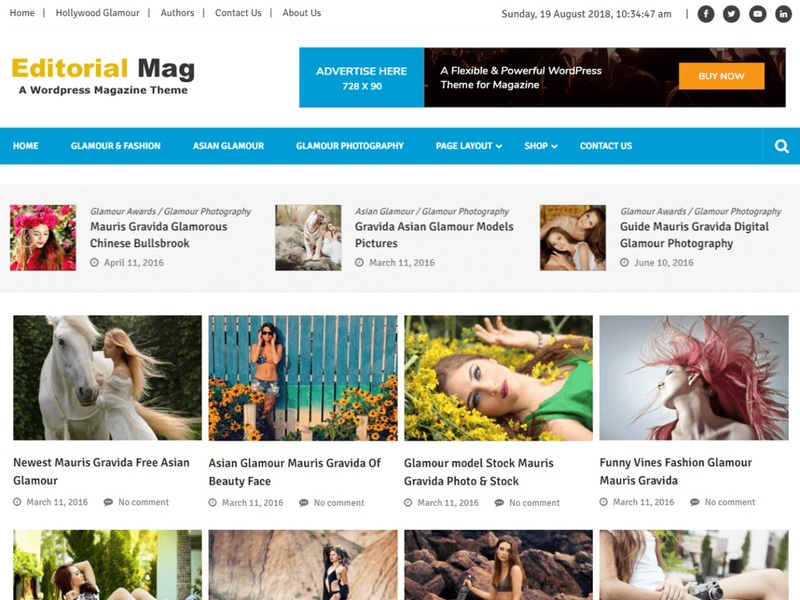 Editorialmag Lite is an ultra-fast clean and best responsive free WordPress magazine news portal theme. Editorialmag Lite theme is completely built on customizer which allows you to customize most of the theme settings easily with live previews, Editorial Mag supports many 3rd party plugins, compatible with Jetpack, Contact Form 7, AccessPress Social Share, AccessPress Social Counter and many more.